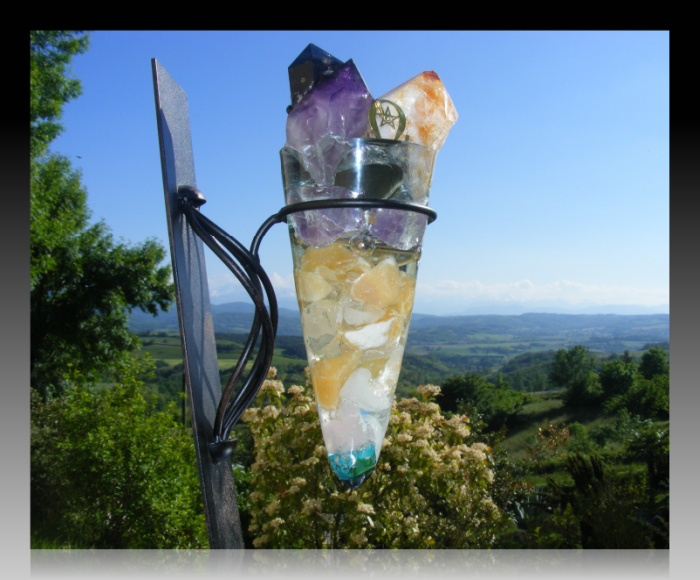 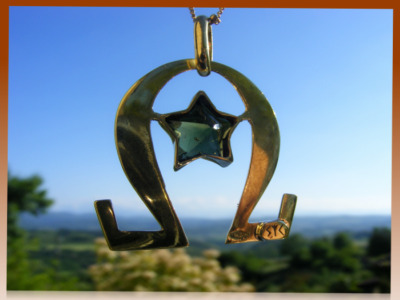 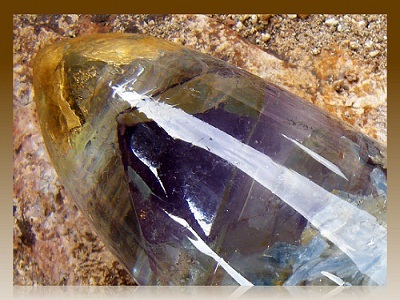 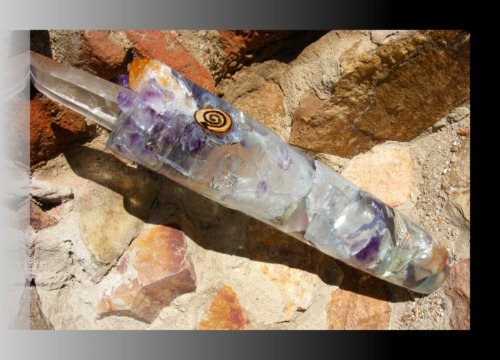 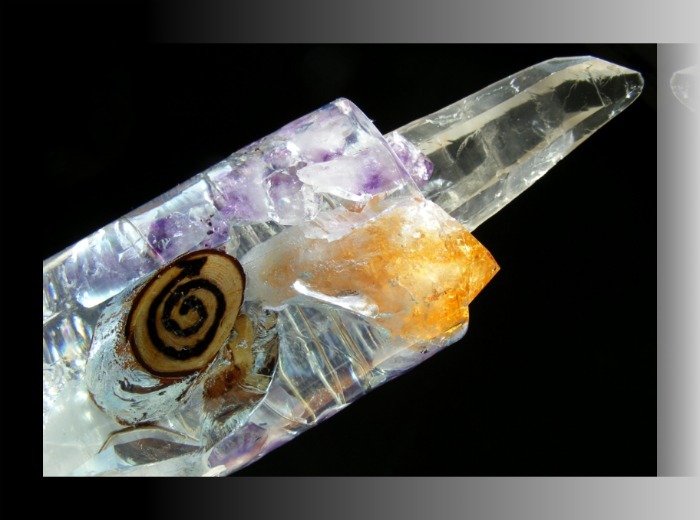 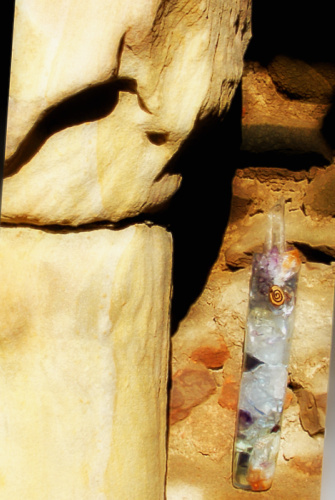 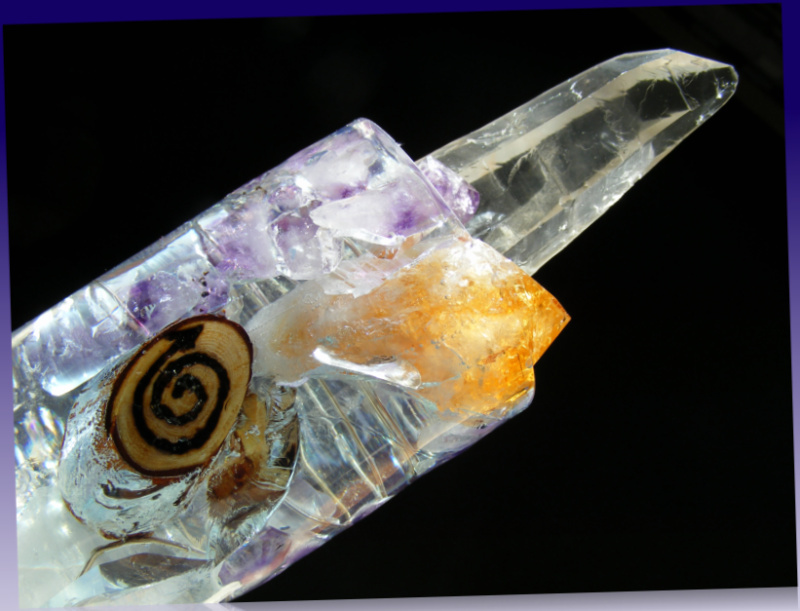 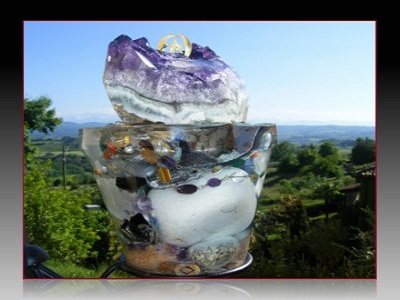 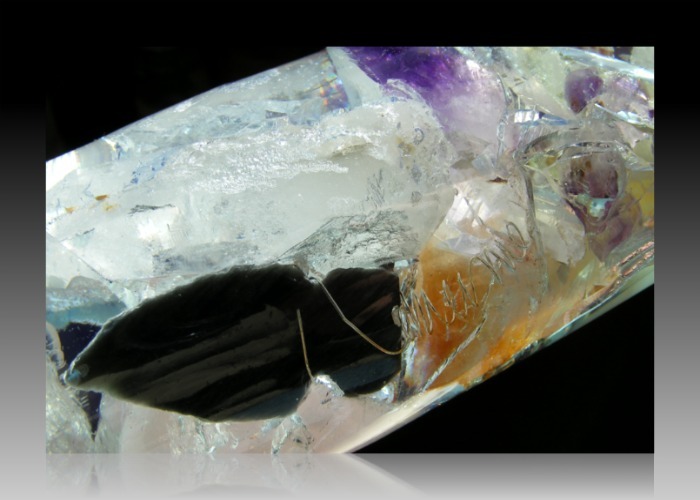 An incredible 22cm superior laser crystal, where the 9cm tip with Citrine and amethyst crystals, appear from a matrix of natural clear quartz points, Rosequartz, Amethyst crystal, Citrine crystal, Granat, a modern knapped Obsidian arrowhead with silver wire coils, and a Spiral pattern Pine Rune with a lightning arrow burned into the wood on the opposite side, with a large citrine crystal at the base. The Resonator has a nice structured relief effect near the top of the wand, giving an almost ancient feel to it. 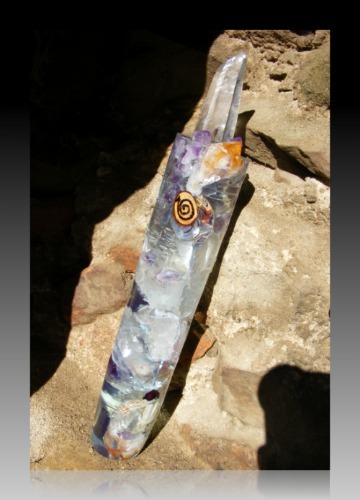 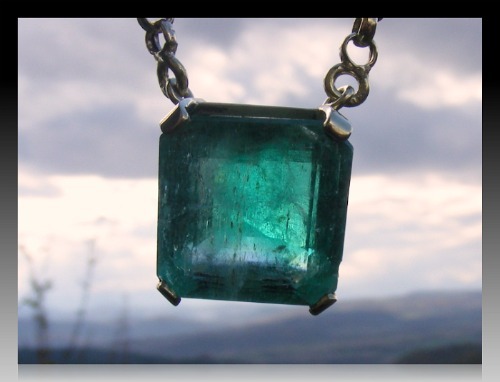 The Balmung crystal is an extremely high quality and rare addition to this 'monolith' work of art. 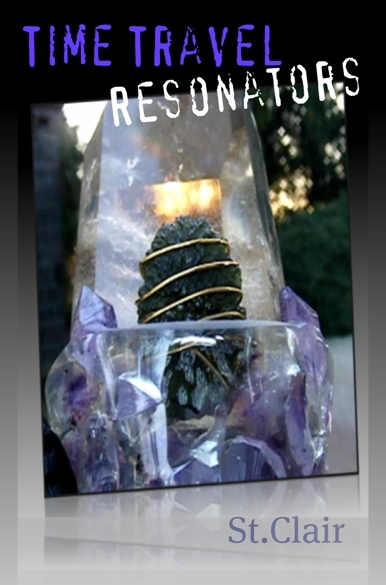 This resonator is 40cm in length.